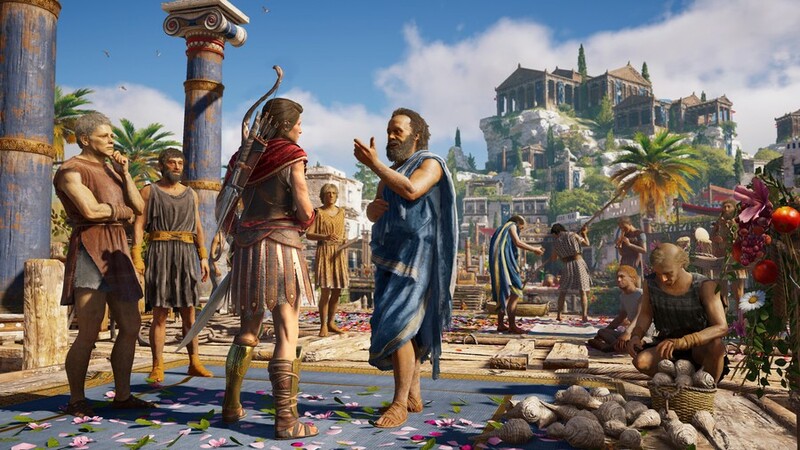 The sheer existence of Assassin's Creed Odyssey's exploration mode feels like acceptance from French publisher Ubisoft. After a generation of games plagued by the "Ubisoft formula" of climbing towers to unlock new missions and locations, side activities that flood the map with icons, and sprawling skill trees, this year's iteration builds upon the foundations laid by 2017's Assassin's Creed Origins to construct an open world that doesn't go through the usual motions. 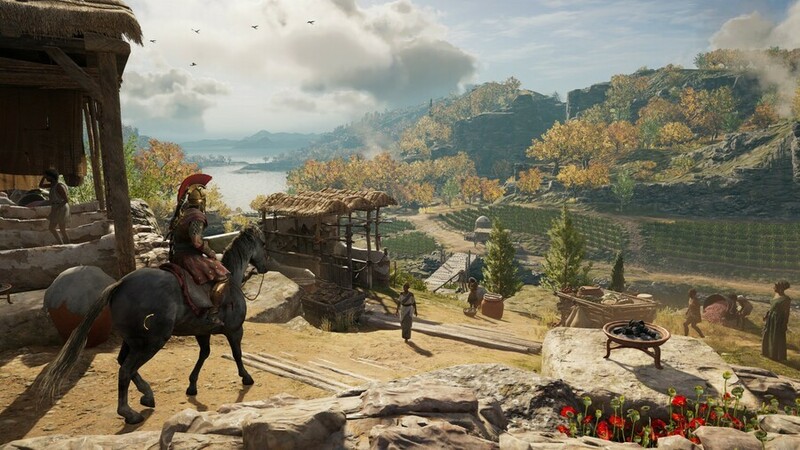 Adopting an approach similar to that of The Legend of Zelda: Breath of the Wild and The Witcher 3: Wild Hunt, Ubisoft has ditched its conventional roots in order to manufacture a representation of Greece that feels alive and worthy of exploring. Pitched as the way Assassin's Creed Odyssey is meant to be played, exploration mode ditches objective markers, at least initially, for the idea that you yourself need to work out where to head to next. You can switch back to the more traditional guided mode at any time, but with the stabilisers off, you're given a couple of pointers that hint at the location of the next quest step and it's up to you find it on the map. You'll generally be given a physical location to start with and then a direction in which to work from, while a visual representation allows you to hone in your marker, but if that's not enough to locate the objective, you'll simply need to explore the region in order to progress. It's a big departure from the more guided experience of previous Assassin's Creed games, and for the most part, it works a charm. Rather than selecting my next objective and heading there via a fast travel point, I'm finding myself actually analysing the map in order to work out where my next goal is, using the hints on offer to pin point locations of interest that could lead to progression. It allows me to build a deeper connection with the experience, learning of the map's intricacies, visualising the way the ocean manifests around smaller islands, and memorising where to dock for on land adventures. Even in the early game I'm loving every second of it, but unfortunately it has one big detriment: it doesn't go far enough. The game does indeed allow you to work things out on your own, but that's only to a point. Once you're confident that you've found the right place, you'll receive confirmation of that because a popup will appear telling you that Ikaros, your eagle that allows you to highlight objects and locations in the environment, can now be used to find the exact location of your objective. After all the work you've done to just find the general area of your goal, it feels like this mechanic works in complete contrast to what exploration mode is going for. It's not like this option becomes available once you're right on top of the target either, because the popup appears once you're within range of about 200 metres. It feels like cheating in a mode that promotes the idea of going it alone. Sure, you could just ignore this option and continue to search on your own, but the fact that it even exists breaks the immersion almost completely. 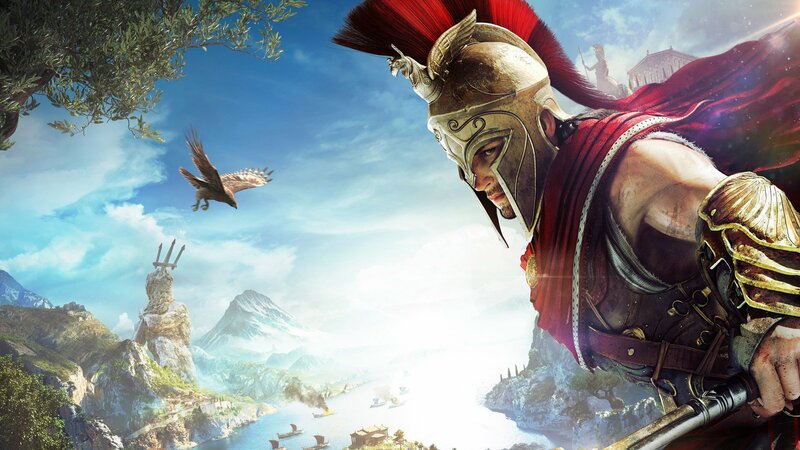 Much like Assassin's Creed Origins was a great basis for Odyssey to build off of, the groundwork put in place here feels like an excellent spring board for the next title in the franchise. Of course we won't get that entry in 2019, but when the series comes back around, exploration mode could be one of its defining features. What's on offer here is great: it gives me a chance to forge my own path through the world of Greece as I plot my own points of interest, but the stumble on the finishing straight leaves more than enough room for improvement. Make me work out the location of my next objective via longitude and latitude coordinates, or by talking to people in the town square to get even the foggiest idea of a location, or even give me nothing to work with at all. Make the more obscure side quests a real challenge to complete. Assassin's Creed Odyssey's exploration mode breathes fresh air into the series and the developer as a whole, but there's so much more that could be done with it. 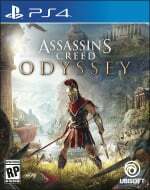 Are you playing Assassin's Creed Odyssey in exploration mode? How are you finding it when compared to the more guided experience of previous games? Plot your steps in the comments below. "Once you're confident that you've found the right place, you'll receive confirmation of that because a popup will appear telling you that Ikaros, your eagle that allows you to highlight objects and locations in the environment, can now be used to find the exact location of your objective. After all the work you've done to just find the general area of your goal, it feels like this mechanic works in complete contrast to what exploration mode is going for. " That just drives me mad. It's like they just can't help themselves. It's nice to see them try to improve their open world games, but it seems they are not quite ready to let us off our leashes. It's like they think we're thick, and they are worried people will get frustrated and trade the game in. Sounds like it's onto the right direction, at least. @kyleforrester87 After the review yesterday I was wavering on scrapping my budget for the month and buying this for the weekend then I saw this article and Jim Sterling's video and decided to wait after all. @LaNooch1978 Well that's a mistake, 32 hours in and it's the best game I have played this year. Quite easily the best Assassins Creed game and I have played them all. @Salt_AU You have played every Assassins Creed game? You have my deepest sympathies. @Salt_AU I'm sure it's good,and I enjoyed Origins but it's for the best that I don't splurge. I've already bought a full price game this month and RDR2 is out soon so best to wait till November or even Xmas to get this one. I honestly can't get behind a game like this when it's progression is been held back so Ubisoft can sell XP boosters. Outside of greed why do they feel the need to do it? Spiderman, Horizon and The Witcher didn't need XP boosters to get by so why does Assassins Creed? @adf86 That's a completely different topic, but this XP booster scandal has gotten completely out of hand. It's pure hyperbole, and nowhere near as bad as people are making it out to be. They're buried in a menu and have no effect on the normal game. @liamCroft It might not be on topic but it's a very relevant part of the game that has been hugely overlooked by a lot of reviews, where so many of the games items can be bought with Helix credits. You say that it "doesn't effect the normal game" but there's the argument that if they don't effect the game then why have them there in the first place? @LiamCroft @adf86 It's interesting that in the review comments Robert said he didn't feel that microtransaction purchases were in any way encouraged but Jim Sterling and others have said the game is super grindy,making the XP boosters a major improvement and there are in-game adverts all over the loading screens. That's a major difference of opinion. @LaNooch1978 @adf86 Robert is correct, the game isn't grindy and the micro transactions are buried in a menu. They're not vital whatsoever. Again though, this isn't the place to be discussing this topic. @LiamCroft Agreed. Sorry about that. Like I said in the review comments, I looked at the microtransaction store once in my entire play through and never again. Just like with Origins, I think the in-game purchases are totally unnecessary to the point where I don't get why anyone would buy them. Not once did I felt like I was/needed to grind in Odyssey. I did the story at a reasonable pace, completed side quests when I felt like it... Just a totally regular playthrough — the same way you'd play any open world RPG. Skyrim, Fallout, anything. So in that sense, from my perspective, I'm with Liam. Calling the game "grindy" is calling every other RPG on PS4 "grindy". It's not "grindy" in the least — all you have to do is actually play the game and not try to speed run it. I find it to be a bizarre complaint. Now having said allllllll that, I still firmly believe that there's no place for microtransactions like this in a game like Odyssey. If people buy them that's their decision and I won't judge, but it's still crappy business. The only reason I didn't mention them in the review is because, like I say, I never even thought about using them, and I didn't think they were relevant when critiquing the game itself. Hopefully that clears some stuff up! @ShogunRok That's fair enough, I just felt it was a part of the game that hadn't been addressed as was/is a concern of mine. @Spectra £35 delivered?? That's a hell of a bargain. Good article! I'm only about 4-5 hours into the game and have been playing in "exploration mode" since the start and have had no problems. If anyone is still on the fence (and hasn't started the game yet) all I would suggest is starting in exploration mode, and if you decide you would prefer more guidance in where to go/what to do then you can easily change it at any time. I usually play all adventure games in "exploration mode" when possible, I mean turning off minimaps, markers etc. It can be clunky only when you can't access the map immediately. I wish I could just tap the touchpad to open the map having the chance to insert notes and screenshots on it. It happened with some Zelda games and it was a great idea. @adf86 Micro transaction have been part of the Assassin's Creed series for years. The boosts have never been necessary for the best possible experience. You only need those if you don't do any side quests at all, but that's just not how the game is meant to be played. It's the same as Horizon, Yakuza. But still every year someone will bring this up in order to get him or herself some clicks. It's like, whatever. IF you have to do things in a set order then why make it a open world RPG in the first place? @FullbringIchigo Well, real life is open world too. But I can't win buy food without earning money, I can't drive a car without taking driver's lessons or play in the champions league without soccer training. Odyssey is open world. You can try to beat later-level main missions, but you're probably of a too low level to stand a chance. So you can choose to do side missions, to improve your level so you can take on those missions. Surely this can be patched in, more options are always appreciated, love those games like RDR where you're given a picture treasure map and have to work out where the treasure is! @Kidfried I absolutely get that, I'm just concerned about when it will get ridiculous with these business models. @adf86 What I find difficult to understand is why devs include any content in games if they intend for people to pay for the means to bypass it. @LaNooch1978 It's what publishers do sadly. I'm not always a fan of Jim Sterling cos he jumps on every controversy especially when he gives him a chance to present his anti corporate outlook. But he had a really good point about AC which was why does Ubisoft feel the need to sell boosters and armour sets as mtx when they were selling 6 different editions and even marketing with a pizza company for the game if it wasn't pure greed. That's what frustrates me the most because it's so unnecessary. "why does Ubisoft feel the need to sell boosters and armour sets as mtx when they were selling 6 different editions and even marketing with a pizza company for the game if it wasn't pure greed"
@adf86 Why they release it? Because people buy it. You can just buy AC and have a well crafted game, with plenty of content, which is easily worth your money. I wouldn't call the release of the game greedy. But then there's people who will buy XP boosts for these games... honestly, it's them who are their own choice really. @Kidfried @LaNooch1978 @adf86 This sure does have a lot to do with Assassin's Creed Odyssey's exploration mode, doesn't it guys?